Steel tile roofing is a premium roofing product made of several layers of materials. The center core is steel, which forms the strength of the tile, along with other layers of metal, fiberglass or plastics. Some brands of steel tile roofing have a layer of stone and a protective top layer. These layers are designed to beautify the tile, and protect it from rust and other problems caused by weathering. Steel tile roofing can be made to look like clay tiles, slate or cedar wood. Colors also widely varied, and homeowners have the ability to tailor the roofing to match the rest of the home. Some newer brands of steel tile roofing have paint granules “baked in” throughout the metal for a deeper and longer lasting color, instead of just put on top of the top layers. This new technology is designed to last longer and require less upkeep than conventional painting methods. Although the upfront costs are more expensive, this roofing product has several advantages. Steel tile roofing is extremely strong but lightweight; it is also resistant to insects, fire and extreme weather. Due to the reflective nature of steel, the roofs reflect more heat and light. Some brands of steel tile roofing also use recycled metals, and may be Energy Star rated. Many brands also have warranties for at least 50 years. Installing steel tile roofing is a bit more expensive than standard asphalt shingles. 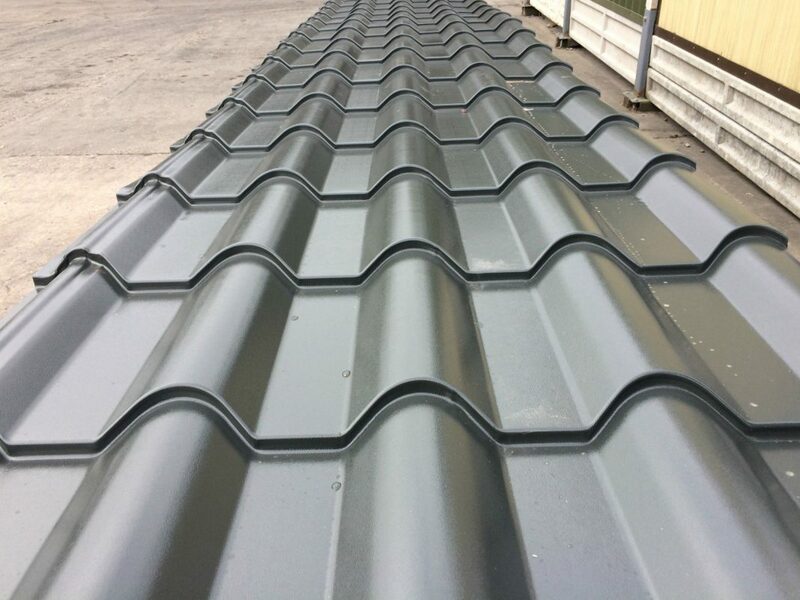 Cutting and edging steel tile roofing require some skill, in order not to scratch the coating or damage the tiles in any way. Improper installation may cause the tiles to degrade faster. However, ewer interlocking steel tile roofing makes installation a bit easier. Homeowners should also ask about what insulation will be used and if they want to use a batten or batten-less install system. Unlike other roofing materials, steel tile roofing is usually walkable. This way, the tiles are less likely to be damaged to be a satellite dish repairman or other person on the roof. In general, steel tile roofing is designed to be low maintenance. After several years, steel tile roofing may also require some painting if the top layer of paint or protective coating is worn down. Normally, a longer warranty indicates the material is a higher quality, although homeowners should always talk to other homeowners who have had these roofs for installed for several years. Homeowners also talk a local roofer who is experienced in installing and maintaining steel tile roofing for more advice and price quotes.